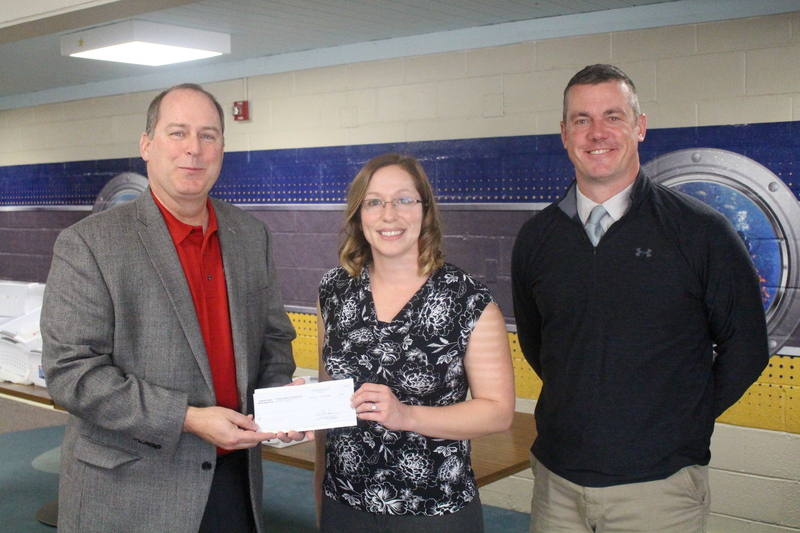 Adrian, MI (11/28/2017) –Madison Elementary School is pleased to announce that third grade teacher, Ms. Sherri Gamble applied for and received a $1,000 STEM grant from the Toshiba America Foundation (TAF). These funds will support the Engineering Design Process for 3rd grade students learning about Maglev Trains. Third grade students at Madison Elementary School will explore different properties of magnets and in the end create their own Maglev Train that carries pennies across a track. Students must use their new knowledge of magnets to be able to be successful. 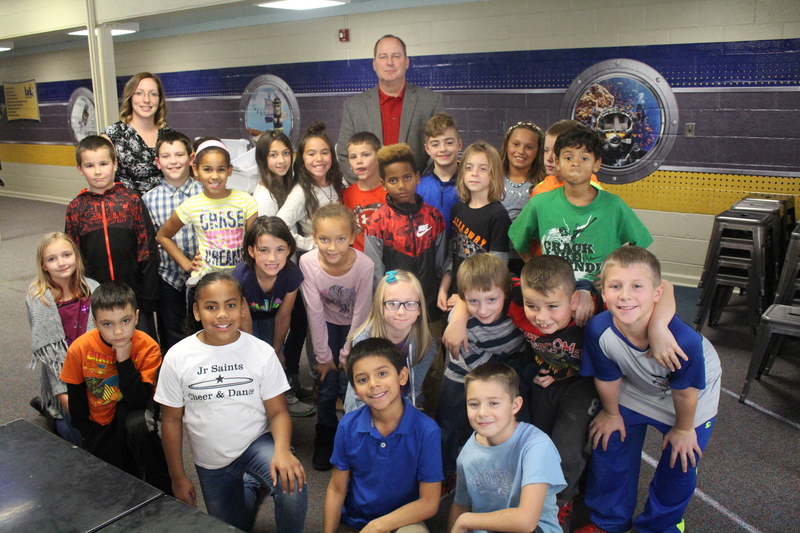 Pictured is Ms. Gamble’s third-grade class as well as Toshiba America Sr. District Sales Manager Kennedy Cross presenting Ms. Gamble and Upper Elementary Principal Nate Pechaitis the grant check.